Time to sit back and enjoy some of the best flavorful tea made in the world today. 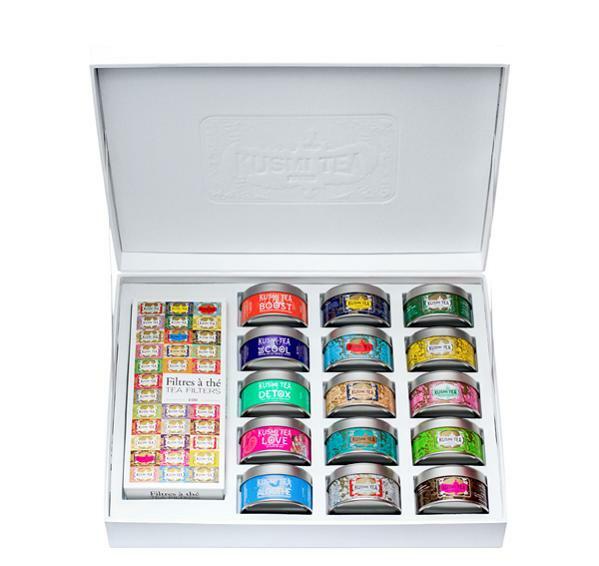 Kusmi Tea of Paris can supply your mind and body with a vast array of flavor and delight. Whether you try their Wellness Collection, consisting purifying Detox or stimulating Boost Teas, you will relish the invigorating blends. With the full line of distinct green teas, as well as their strong black teas, the fine craftsmen of Kusmi Tea create perfect blends to tease and tantalize your senses. 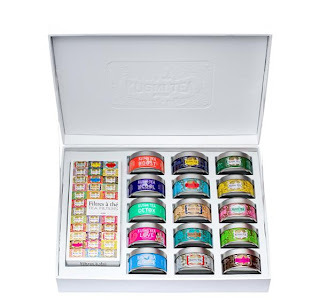 For more than 140 years, Kusmi Tea of Paris have provided fine Russian blends for patrons across the world. Kusmi also combines tea leaves from China, India, and Ceylon to merge different cultures and nuances appealing to tea drinkers the world over. On June 30th Kusmi Tea will open their first retail store in America. The new addition is located in New York City at 1037 Third Avenue near 61st Street. The Store marks the tenth retail store for Kusmi Tea and a fine addition to the elite experiences of New York. My first thoughts upon opening my Kusmi Iced Tea package were the aroma. An aroma that made you just close your eyes in an attempt to extend the experience. I tried their Jasmine Green Tea first. The flavor was so unique, yet I felt like I had always known the taste of this fine tea. Their delicate blends will make any tea connoisseur melt with anticipation for the next cup! To say Kusmi Tea have perfected the blending of flavor, aroma, and quality is not enough for me... They Are the Masters! My best advice for any tea drinker is to treat yourself to a tasty and unique experience of fine flavor that comes with your first cup of Kusmi Tea of Paris. You won’t regret it! Kusmi Tea of Paris, a brand known for its traditional Russian style teas for the last 140 years, is delighted to introduce Kusmi Iced Teas and a recipe for making iced tea in only five minutes. Kusmi Iced Teas are packaged in a unique "frosted" box containing 12 blends of flavored tea. The box of 24 muslin tea bags, two sachets per flavor, is a summer essential. Founded in 1867 in St. Petersburg, Kusmi Tea was brought over to Paris in 1917. Over the past 140 years, they have perfected the art of blending unique teas distinguished by their exceptional flavor, aroma and quality. Kusmi Tea blends the finest natural ingredients from around the world, making each tea distinct. Invigorating to all senses, each aspect is glorified by master blenders at Kusmi, ensuring the smallest detail is never overlooked. PS: You can try this product for $21.95. And also you can follow them on Facebook and Twitter!